A POLITICAL analyst has predicted that embattled Deputy Prime Minister Barnaby Joyce's "career is over". Niki Savva, a former senior adviser to then Prime Minister John Howard, appeared on the ABC's Insiders program this morning to discuss Mr Joyce's future in politics after it was this week revealed his lover Vikki Campion was pregnant with his child. The revelation prompted questions to be raised about Ms Campion appointment to jobs created especially for her in two different National Party offices. "I think his career is over," Ms Savva, who is also a News Corp columnist, said this morning. "Maybe not in the short term but certainly in the medium term. "I would not expect to see Barnaby leading the Nationals into the next election." Ms Savva revealed on the program that "everybody inside the government knew what was going on ... that he was having an affair with a member of his staff". "It was creating problems in the office and basically they were sitting there on a powder keg waiting for it to blow," she said. 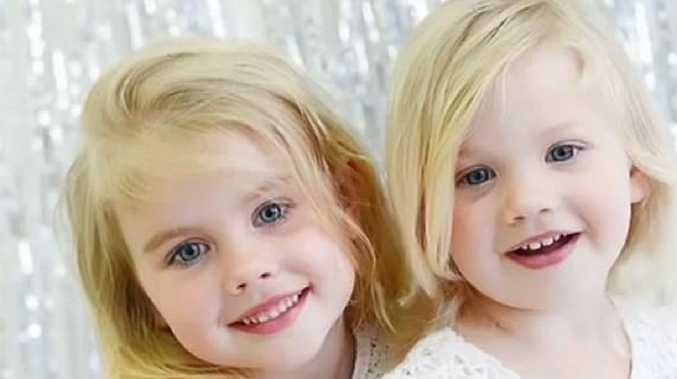 "Here we have a conservative politician whose girlfriend is having a baby out of wedlock and he has been out there lecturing people on how they should be living their lives. "Which other politician has been able to survive a set of circumstances like this? The answer is none." According to Ms Savva, infamous philanderers including former US President Bill Clinton and former Australian Prime Minister Bob Hawke "only survived" because their wives "stuck by" them. "Here we have a justifiably angry and estranged wife and family ... and we have a pregnancy," she said. "In a highly conservative environment those things all spell disaster and I can't see how he can survive this." 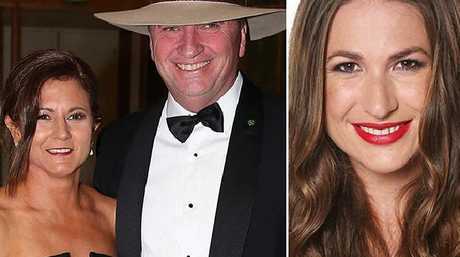 Natalie Joyce (left) and husband Barnaby (middle) prior to their marriage breakdown. Vikki Campion (right) is now pregnant with the Deputy Prime Minister’s child. The government maintains there was nothing untoward about the jobs Ms Campion held in National Party MPs' offices after she entered a relationship with Mr Joyce. Deputy Labor leader Tanya Plibersek said the opposition would continue to ask questions about the use of taxpayer funds, after it was revealed Mr Joyce began an affair with Ms Campion while she worked for him. Ms Campion, a former journalist, was initially a media adviser in the deputy prime minister's office before working for cabinet minister Matt Canavan. When Senator Canavan stepped down from the front bench awaiting a High Court ruling on his citizenship status, she shifted to the office of then-Nationals whip Damian Drum. "Was this job necessary? Was there work to be done at this skill level? What was the case made for having to hire someone additional into those offices?" Ms Plibersek asked on ABC TV. 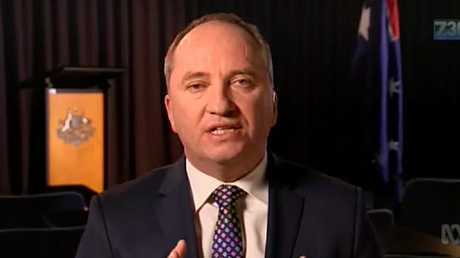 Barnaby Joyce appeared on 7.30 on the ABC, earlier this week. She said it would be fine to transfer someone internally if they had the right skills but normally there would also be a process where other candidates could apply for a position. "It might be that there is no case to answer here, but I think the deputy prime minister and the prime minister should be prepared to answer questions about taxpayer money." Media reports have suggested Prime Minister Malcolm Turnbull was involved in approving the two appointments. 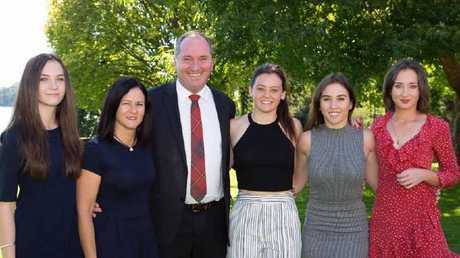 Natalie Joyce, wife of Deputy Prime Minister Barnaby Joyce is pictured with her daughters (L-R): Odette, Caroline, Julia, Bridgette. Picture: Facebook. He had not discussed Ms Campion's employment with Mr Turnbull or his staff, although the prime minister's office has an administrative role in informing the Department of Finance of changes, he said. And Finance Minister Mathias Cormann, whose department oversees the hiring of political staff, says everything was done appropriately. "She's clearly somebody who is qualified to do the job and she was hired in certain positions based on merit and there's nothing really further to add," he told Sky News on Sunday. "All of my advice is that everything was absolutely aboveboard." Veteran Liberal senator Eric Abetz said it was an "untidy situation" but Ms Campion was a "highly valuable staff member" who would be an asset in anyone's office. Mr Turnbull has said he was not aware of any inappropriate spending of public funds relating to the affair. Will Ken O'Dowd be the next Deputy Prime Minister?